The last few patches before the League of Legends World Championships are like the final steps before the high jump. 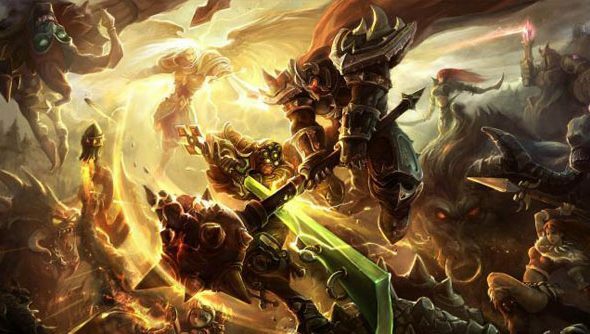 Riot Games need to plant their feet just right, or risk bringing the game’s careful balance crashing down. Patch 4.12 sees the developers shift their weight just slightly to finish off “almost there” champions like Alistar and Ahri, while making more dramatic moves to fix characters who are “skewing champion select in one way or another”. “Our focus is on the competitive scene and the things we can do to ensure the landscape is diverse and healthy,” said Riot player relations manager Chris Tom of the patch. Riot’s key hope is that they can keep pros from fielding an increasingly small subset of League of Legends champions by nerfing the overplayed and improving the lot of neglected characters. With Alistar, the trick is to make him a viable support option without also having him retake his crown as “jungling cow king”. His mana costs are now lower, and his ult more powerful – but his jungling ability has taken a hit. As for Ahri – from now on, her Q will do a little more damage and cost a little less mana. Elsewhere in the patch, you’ll find a slew of other champion and item tweaks, including overhauls to Grez’s Spectral Lantern and The Lightbringer. And there’s now less pressure on players to memorise jungle timers themselves – the game will keep track of monster spawn times for you. LoL is many games to many people, thanks to its humongous and varied roster. Which change here is most far-reaching for you?